Vivian Ciaramitaro’s research focuses on the processing of visual and auditory information in adulthood and throughout development. She investigates mechanisms of attention and plasticity using various methodologies to link quantified changes in behavior with quantified changes in the brain. 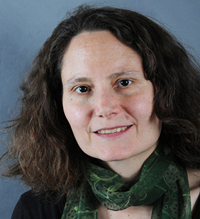 Zsuzsa Kaldy's research focuses on the early development of visual attention and visual working memory in humans. What kind of information do infants encode about objects and what do they remember about them? 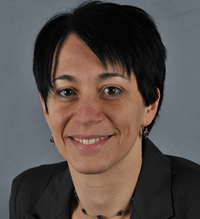 She is also interested in making connections between behavioral research and developmental neuroscience. Dr. Kaldy is actively recruiting graduate students for admission in the 2018/2019 year. The Program's application deadline will be on 12/15/2017. Dr. Shukla is interested in the developing infant mind and brain, in particular in the domain of human language. He is interested both in discovering early cognitive capacities that make language learning possible and the mechanisms by which such early capacities lead to language learning. Dr. Shukla's research utilizes both behavioral (eye-tracking) and neuroimaging (Near-Infrared Spectroscopy) methods.